Well, Summer is behind us and Fall and Winter are on everyone’s mind. Most of us are not thinking about outdoor projects but it actually may be a great time to start planning. We get inundated with calls for exterior projects after Winter is over and the weather starts to change. The problem is, that’s really too late. It takes time to get quotes and plans together, not to mention that it is usually 3-6 weeks after a plan has been decided on before we can begin your job. By the time the job is complete, you may have missed some of the best time to enjoy your new improvements. With our mild climate, weather does not have a big impact on the building and remodeling industry in our area. Give us a call, (757) 877-2212, and we will have a knowledgeable representative come out and speak to you. Our design/sales staff have been in the industry for many years and have most likely worked on similar projects to yours many times. Often times we can offer ideas and suggestions about your project that you may not have thought of. We offer 3-D design to help you visualize the improvements. This allows us to make changes to the design until we come up with a rendering that is exactly what you dreamed of. We can all take comfort in knowing beforehand that you will be thrilled with the final product. We are very excited by many of the products on the market which allow us to give our customers the best there is to offer. For quite some time exterior products have revolved around being maintenance free. While this is something that all of us look for, the improvements to these products are making them not only better and stronger but also look better than ever. We are already replacing some of the products that were developed not so many years ago because of the vast improvements that have been made. 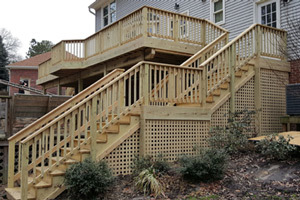 Decking has been one of the more notable products that has been greatly improved. Composite decking came out probably 15 years ago and was suppose to be the best thing since slice bread. It didn’t take long to realize there were many problems with it. The biggest problem being it would absorb moisture, and mold from the inside. This gave you a bunch of dark spots that even after you washed it, was only slightly better and would get worse again very quickly. It also was not so great to look at. The new PVC decking is virtually maintenance free and comes in many colors and textures to include those with a natural wood look. They also are able to be fastened with hidden fasteners so you will never see any holes, nails or screws. vinyl railing has become stronger and better looking and have a number of options to include various designs and colors. There are also other types of railing such as cable and glass to maximize visibility and even more popular powder coated aluminum which looks like wrought iron, without the rusting problems. There also exciting changes in the porch industry to include some incredible looking columns. There are many styles to choose from such as craftsman, round, square and tapered. There is a new screening system which installs in aluminum frames. This takes the place of some older vinyl systems which had numerous problems. We have an extremely durable screen which attaches to the aluminum frames. This is the last time you will ever screen your porch, in fact, we have a lifetime warranty. If it ever needs to be replaced, we will do so at absolutely no charge. Another advantage to this is that because of the strength of the screen and frame, we can have very large panels up to 10’ long so you won’t need all of the unsightly framing members. This screen is so tight in the panels that it resembles a trampoline, you will never have that wavy look. A product which we are very exited about has actually been around for some time but has vastly improved. It is a system of aluminum frame panels with clear vinyl instead of glass and operate similar to windows. It allows you to open them up and get a screened in porch or close them to have a porch that you will use regardless of the time of year or weather. While it’s not meant to be a sunroom, most folks find themselves using as one. 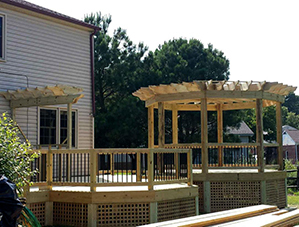 The framing of the porch is wrapped with aluminum and the aluminum panels are installed between the framing members. This gives you a product that requires very little maintenance and is much more affordable than a traditional sunroom. Our standard shingles have a lifetime warranty which covers materials and labor. You will never again replace your roof! 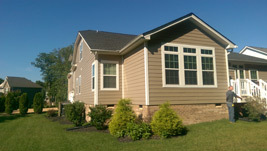 Siding materials and styles are nearly endless, Not just vinyl. You can have siding that looks so natural that you would believe its real wood, but it’s not. There is also synthetic stone which looks and feels like real stone but installs in no time at all. Windows have never been so energy efficient, with many styles, materials and colors to choose from. One of the biggest trends in windows right now are vinyl windows which are black in color. They are completely black on the exterior and white or tan on the interior. You may be surprised at just how good it looks. 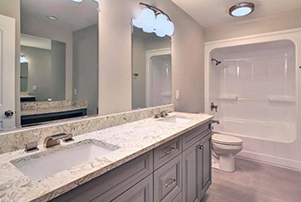 Whether it’s exterior renovations or a kitchen and bath remodel, it’s an incredible time in the remodeling industry! There has never been a time when so many people are fixing up their homes. People are deciding to stay in the house and neighborhood they know instead of moving. They know their neighbors, there kids have friends in the neighborhood not to mention the idea of possibly changing school systems. I myself was recently faced with the same situation. Quite honestly it would have made more since to just build a new house but I love my location, my yard where my past pets are buried and the time it has taken to get the yard the way I want. Another thing that bothered me was the thought of the actual move. I hate moving! I probably still have some things boxed up from my move two decades ago. I made the decision to stay right where I was and so I remodeled my house virtually top to bottom. It has been complete for about 6 months and I have never regretted it. Give us a call, (757) 877-2212, and we will be glad to come out and talk with you to see if remodeling is right for you. 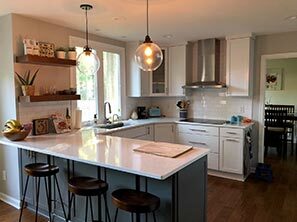 We have 28 years of experience in the business and are one of the largest remodeling companies in Hampton Roads. I promise you we are not here to push you in to making a hasty decision or to make a hard sale, we will simply talk about your needs, give you some ideas and a quote on whatever you may be interested in. After that, you decide what is right for you and your family. We look forward to talking with you and hope that if you do decide to remodel, you will put your trust in THI. A porch is a great way to encourage the more outdoorsy side of you to spend a little more time in nature. Here in the Williamsburg/Yorktown area it’s high time to be outside and enjoying the season before it get’s too hot. 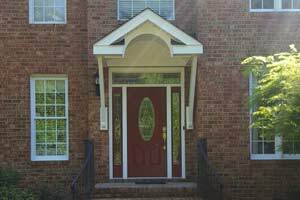 Consider a porch installation or addition if you don’t have one already. It’s your yard, and your home – you might as well take advantage of it. 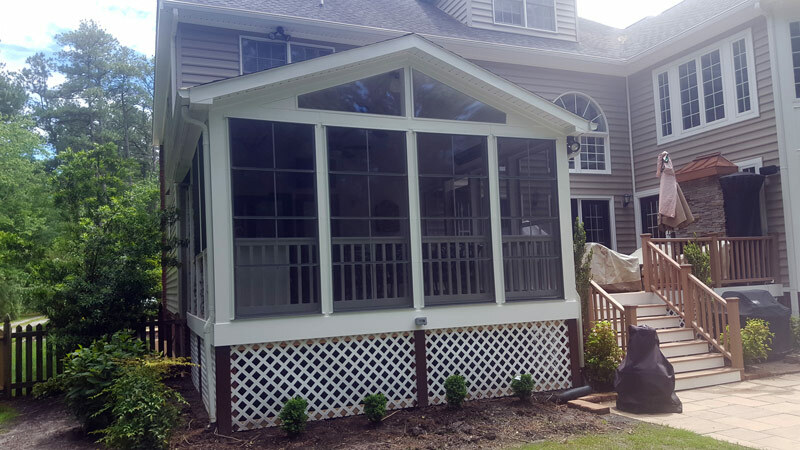 Screened in porches are great for those homeowners who plan to entertain guests, or just like enjoying the weather without nature’s elements impeding that enjoyment. Anything from an arrangement of wicker chairs, to a single hammock befits the screened in porch; it’s all up to you. A wraparound porch is the perfect option for those who want to maximize their porch space as much as possible. The wraparound porch, as the name suggests, wraps around from the front, to the side of your house. Paint the flooring to compliment your houses color, put a few rocking chairs out and enjoy a pleasant day with friends and family. For those of you with an existing porch, consider attaching a patio if you feel the square footage is a bit too low. This is a great way to get the maximum use out of your yard in a way that maintains its attractiveness and curb appeal.